Did you see my unboxing video for this Influenster #InASnap box yet ? 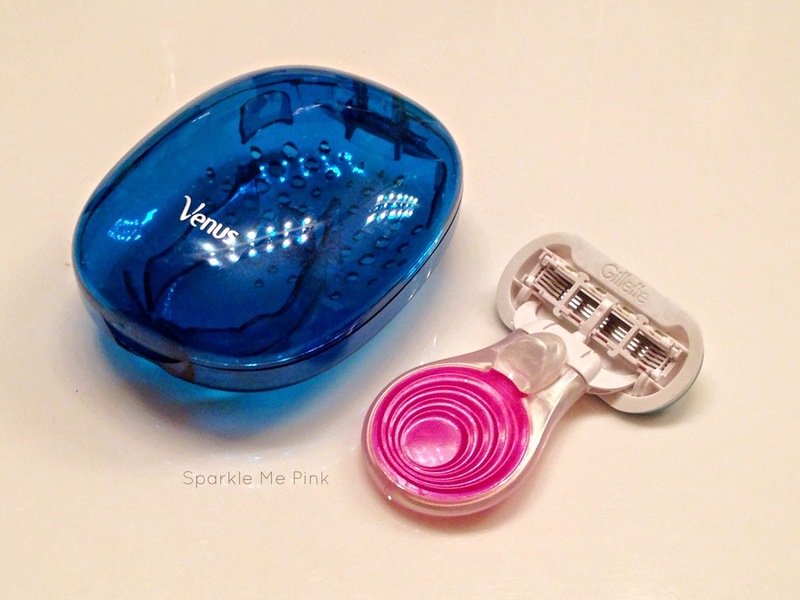 This cute little bugger is the Gillette Venus Snap with Embrace razor. Now I have not tried this exact one that they sent me but the head of the razor is the same as the regular Venus Embrace's which are pretty nice. A bit pricey but they leave my legs feeling smooth and soft. This mini razor comes with a ventilated case which is great for allowing the chamber to breathe preventing icky moldy yucky-ness from happening. Now while I do not really shave on the go very often. I could see someone who has more of a hustle and bustle lifestyle finding this handy. Great for throwing in your gym bag or suitcase on that next business trip. I think this razor would be great for traveling!! I have several trips coming up and this would be perfect! I love the size of this Venus so I could keep in tucked in my small travel pouch I use in my bag. I love their products too.